Backyard landscaping can be just as important as your interior design because a great outdoor space can extend the living area of your home to the outside. I love how this home owner created multiple hidden living spaces in the yard including a patio with seating area, outdoor spa pool, and decorative courtyards and garden paths. Backyard landscape design does not need to be complicated. Determine what elements your family needs the most such as an area for entertaining, a dedicated area for a dining table, or perhaps a large expanse of lawn for pets or children to play. Then get to work on those areas, whether that be stepping up your lawn care game or devoting your budget to patio landscaping to create a fantastic outdoor entertaining space. Great backyard landscaping is an important element of any home. Choosing the right landscaping plants can instantly elevate the look of your exterior and extend the architectural style of your home to the outdoor areas. 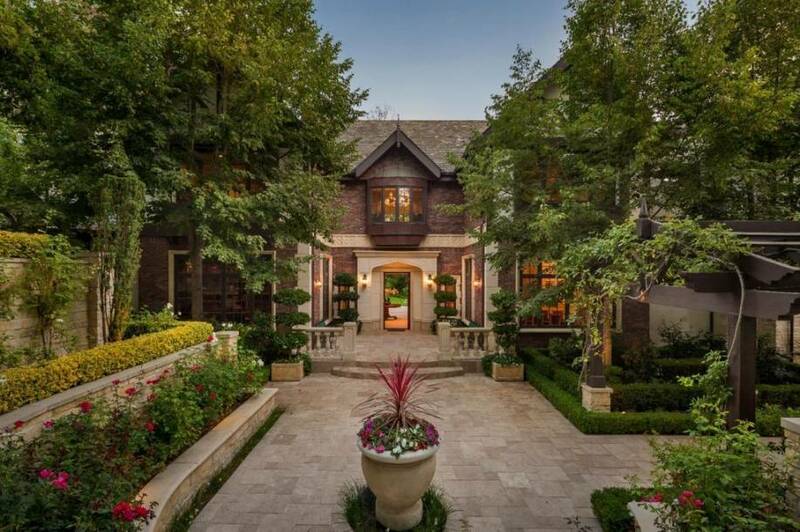 This beautiful estate continues the grand English Tudor style into the outdoors spaces through well-manicured hedges, beautiful topiaries, unique potted arrangements, and lush flowering bushes. Their garden patio designs incorporate these fabulous landscaping components alongside functional elements such as a large dining areas, shaded pergola, and beautiful soaking pool. These backyard landscaping elements enhance the classic architectural features of the home and natural beauty of the area while bringing the living space into the outdoors. Backyard landscaping is an area of design that is often overlooked by homeowners. We are often so caught up in selecting the best paint colors or choosing new kitchen cabinets that we forget about the exterior of our home. Whether you have a large green lawn or simply need small backyard landscaping, it is important to take the time to bring the same great style that you have indoors, into your outdoor living spaces. Backyard landscaping does not have to be complicated. Creating a beautiful outdoor space can be as simple as selecting the right lawn care products to produce a beautiful lush green lawn, or selecting a few accent shrubs and flowers to bring a pop of color and design to the space. If you have a small yard, you may want to keep the landscaping simple. With small backyard landscaping it is important not to overcrowd the area because it will take away the tranquil atmosphere. 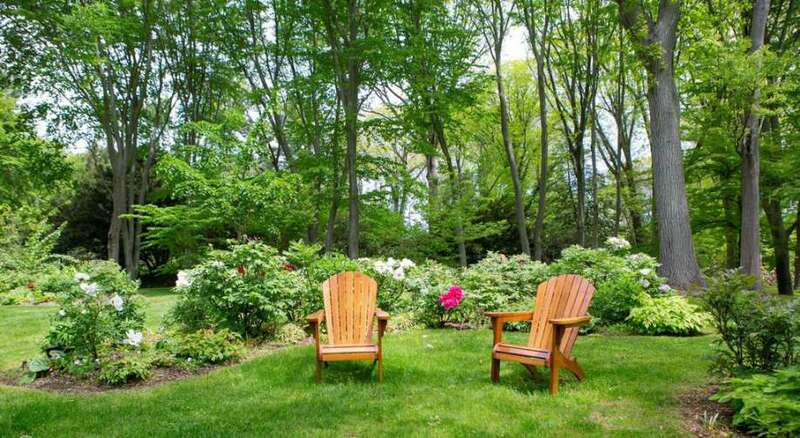 The best garden design ideas show a small garden amidst flowering trees or shrubbery. There are many different garden ideas to choose from, including flowers, herbs, or vegetables. If you are limited on space, consider planting flowers or herbs in pots, container gardens or hanging planters along your deck. The top designed backyards are finely manicured with garden edging and include perennial flower plots and rock gardens because they require the least maintenance. I want my landscape design to look like a backyard jungle just like in these photos. You can’t tell if it is a residential yard or some sort of trail in the rainforest. Of course I know that this is going to be a challenging and likely expensive look to achieve, especially in a fairly bare yard like mine. It will take years of adding to and tweaking the design to give it the wild and natural look like in this home. The first step that I am going to start with is planting some trees so that they can grow into maturity, then over the years I can added lush flowering garden plants to give the dense layered look. 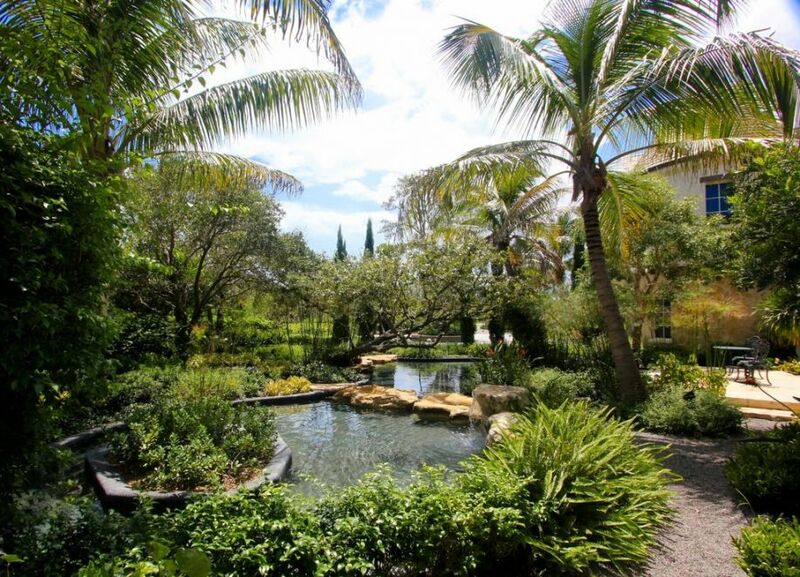 Beautiful pool landscaping can take a backyard retreat from ordinary to extraordinary. This dream yard featuring gorgeous deep blue pool with spa and fountain, is a great example of how simple natural elements can really elevate a design. The designer used lush landscape trees set amidst the paver pool deck to bring greenery to an otherwise large expanse of concrete. These trees are perfectly accented by pristinely manicured hedges and classic potted topiaries. I love the use of backyard landscaping to divide the large space into entertaining zones. Trees section off areas for poolside lounging, eating, and seated entertaining.